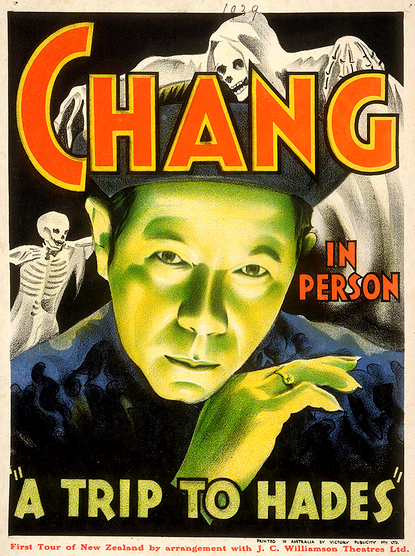 A Hell of an Evening With Magician "Chang." 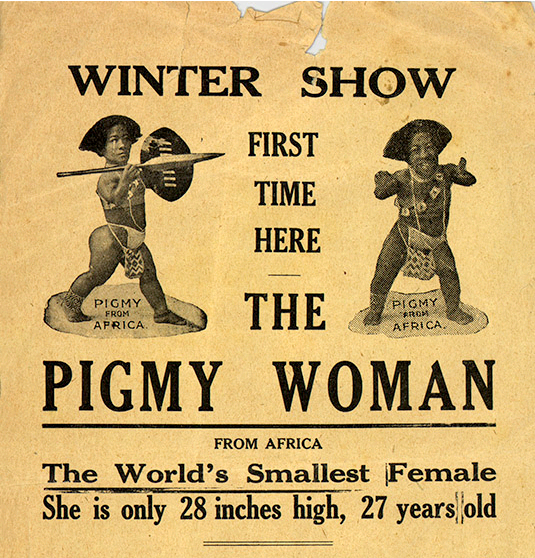 Daredevil rodeo riders, acrobatic dogs, jugglers on horseback, musical clowns, the "world’s champion foot-balancing artiste," and "the smallest woman in the world," are just a few of the attractions featured in a new online exhibit from the National Library of New Zealand. The images shared on the library's website (and on their Flickr page) are only a small sampling from the newly acquired Charles Cabot Collection of Circus and Theatre Ephemera. The collection has yet to be completely cataloged, but includes some 500 posters, about 500 programs, 99 scrapbooks of news clippings, a small collection of around 150 photographs, and a box of itineraries, autograph books and correspondence. Publicity man and theatrical agent Charles Henry Cabot (1890-1978) spent his long career creating advertising for circuses, variety shows, carnivals and theatre. He was also an insatiable collector of ephemera related to his work in show business. He began life as a baker's son in Wellington, and while still in his teens was a bread maker for the military camp at Trentham during the First World War. But by age 21 he had been bitten by the theatrical bug, and left his father's profession behind. He spent about a year in the burgeoning motion picture industry down under, but by 1912 he and his new wife had begun a lifetime on the road, traveling by horse and cart with touring carnivals and circuses throughout New Zealand and Australia. Of The Dapper Charles Henry Cabot. 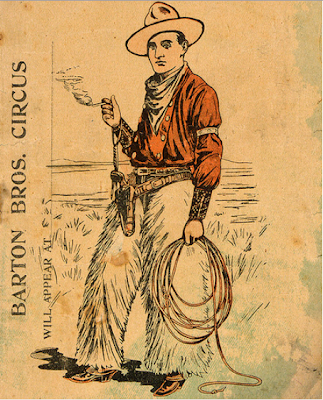 Cabot spent nearly 50 years on the road promoting circuses, carnivals, fairs, rodeos, sideshows, magic acts, and musical performances. He doubled as a trumpet player in traveling orchestras, but made his name as an "advance man" par excellence. 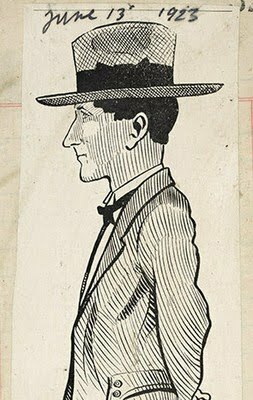 By 1923 Cabot's dashing appearance, always neatly attired in a natty business suit and brimmed felt hat, was well-known enough to inspire a caricature in a Sydney show-biz magazine. An example of Cabot's flair with a press release can be found in this brief review of the Perry Bros. 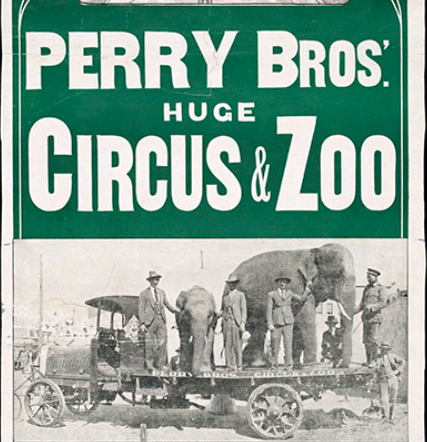 Circus, from the Wellington Evening Post of February 4, 1929, "this time-honoured form of entertainment has lost nothing of its attraction. The big tent has been crowded at all the performances. This circus is of the best...particularly strong in acrobatics; the performances of the Lorenzes, Babette, and the Verduns are outstanding. 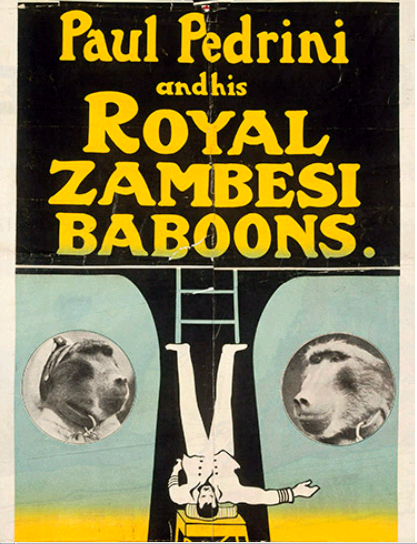 Attached to the circus is a good menagerie, where strange animals from all parts of the globe may be seen." "The World’s Champion Foot-Balancing Artiste." But life on the road had its drawbacks. Cabot's wife Beatrice was saddened by her husband’s long absences. She sometimes chose to travel along with him, but things didn't always go smoothly. An undated news clipping in one of Cabot’s scrapbooks reports "A truck with a caravan attached, owned by Mr C H Cabot, collided with a telegraph pole on the main highway south of Mosgiel golf links at 10 a.m. today. The truck...was laden with goods used as prizes in sideshows. Mr Cabot and his wife, who were passengers, were given medical attention at Mosgiel. The driver received cuts and abrasions." 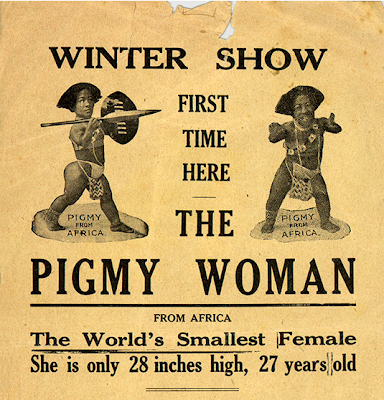 A Touring Performer From South Africa. Nevertheless, Cabot continued his itinerant lifestyle for decades, and even at age 70 could be found running the occasional stall at country fairs, selling novelties such as dolls on sticks, toy clowns, and Lord’s Prayer medallions. He finally cut down on his traveling when he accepted a job as the stage doorman at the Wellington Opera House. There he still actively collected ephemera, particularly autographs of performers he admired. When interviewed for a newspaper article at age 83, Charles Cabot said he "wouldn't change a minute" of his life in show business.